The fast growing industry in the world aside from fashion is of course service-related ones. Narrowing it down to the hospitality as its emphasis is the hotel industry. From luxury hotels, five-star hotels, boutique hotels, to budget hotels, each of the hotel provides the best for the customers; making sure that guest feels like they’re at home during their leisure or business related travels. 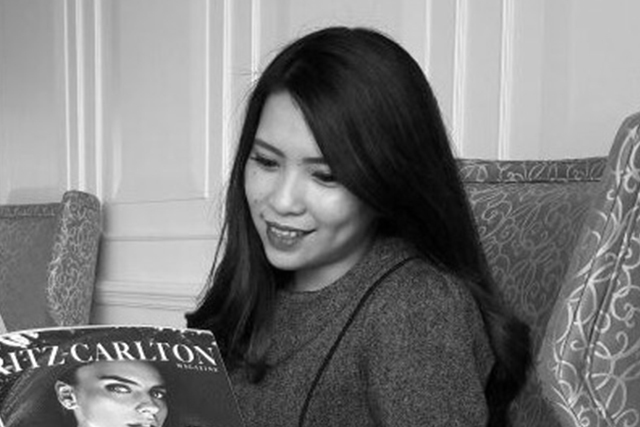 Bertha Pesik, the Public Relations Manager of Jakarta’s five-star hotel The Ritz-Carlton Pacific Place, is one of the key persons who’s very much aware the importance of not only customers, but also the medias. And discussing further about her job, Letter F managed to steal her time. Those aspire working as hotel PR, you might want to scroll to find out more! Prior to your job at The Ritz-Carlton Pacific Place, where did you station before? Working in a hospitality industry, what’s the pros and cons about the job? Share us your good and bad experience so far. What’s the one thing about your job that you really love the most? In order to grab the market, could you share some tips to make the customers keep coming to your hotel? What do you think about the current hospitality industry in Jakarta for the past 5 years? What’s your idea of having a good time?